A top FBI official admitted to Congressional investigators last year that the agency had contacts within the Trump campaign as part of operation "Crossfire Hurricane," which sounds a lot like FBI "informant" Stefan Halper - a former Oxford University professor who was paid over $1 million by the Obama Department of Defense between 2012 and 2018, with nearly half of it surrounding the 2016 US election. According to portions of transcripts published on Tuesday by the Epoch Times of a Aug. 31, 2018 deposition by Trisha Anderson, the FBI relied on sources who "already had campaign contacts" in order to surveil the Trump team. "To my knowledge, the FBI did not place anybody within a campaign but, rather, relied upon its network of sources, some of whom already had campaign contacts, including the source that has been discussed in the media at some length beyond Christopher Steele," said Anderson - who was the #2 attorney at the FBI's Office of General Counsel, and had extensive involvement with the Trump counterintelligence investigation. Halper is reportedly a longtime CIA and FBI informant, and has been involved in US politics at the highest levels for decades, becoming George H.W. Bush's National Director for Policy Development during his presidential campaign. After Bush lost to Reagan, Halper worked as Reagan's Deputy Assistant Secretary of State - where he served under three different Secretaries. Halper's involvement in surveilling the Trump campaign was exposed by the Daily Caller's Chuck Ross, who reported that the 74-year-old spook was enlisted by the FBI to befriend and spy on three members of the Trump campaign during the 2016 US election. 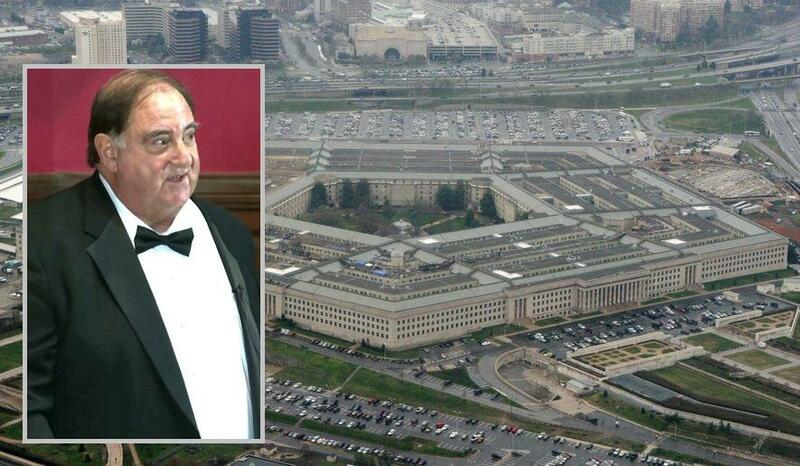 Halper received a DoD contract from the Obama administration for $411,575 - made in two payments, and had a start date of September 26, 2016 - three days after a September 23 Yahoo! News article by Michael Isikoff about Trump aide Carter Page, which used information fed to Isikoff by "pissgate" dossier creator Christopher Steele. The FBI would use the Yahoo! article along with the unverified "pissgate" dossier as supporting evidence in an FISA warrant application for Page. Halper approached Page during an election-themed conference at Cambridge on July 11, 2016, six weeks after the September 26 DoD award start date. The two would stay in contact for the next 14 months, frequently meeting and exchanging emails. And as the Daily Caller reports, Halper used a decades-old association with Paul Manafort to break the ice with Page. In September 2016, the FBI would send Halper to further probe Trump aide George Papadopoulos on an allegation he made that Russia had "dirt" on Hillary Clinton. According to Papadopoulos in an interview with Dan Bongino, Halper angrily accused him of working with Russia before storming out of a meeting.